Just as we began to put our money on Lewis Hamilton as the single title favourite this year, his biggest rival of recent months picked himself up and made us think again. The timing couldn’t be better, as the circus enters the European leg of the 2015 season. After a three-week break between races no one expected to see Mercedes’ form drop, and that was certainly not the case. However, it wasn’t the three-race winner of the season who claimed the top podium spot in Barcelona, as that weekend Lewis Hamilton had to concede the victory to his team-mate Nico Rosberg. The German dominated the weekend in Spain, challenging the pundits who suggested his head was not in the championship any more. 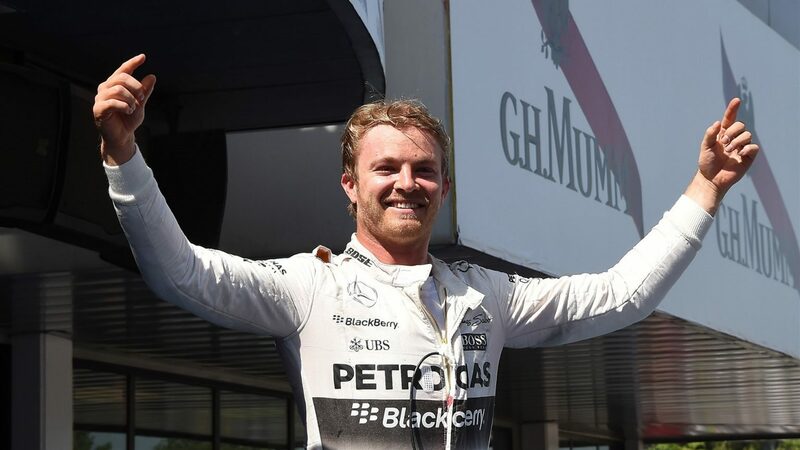 After qualifying on pole with a 0.267sec advantage over Hamilton – his first pole this year – Rosberg shot out to a comfortable lead on the first lap and ran the race unthreatened up to the finish line. 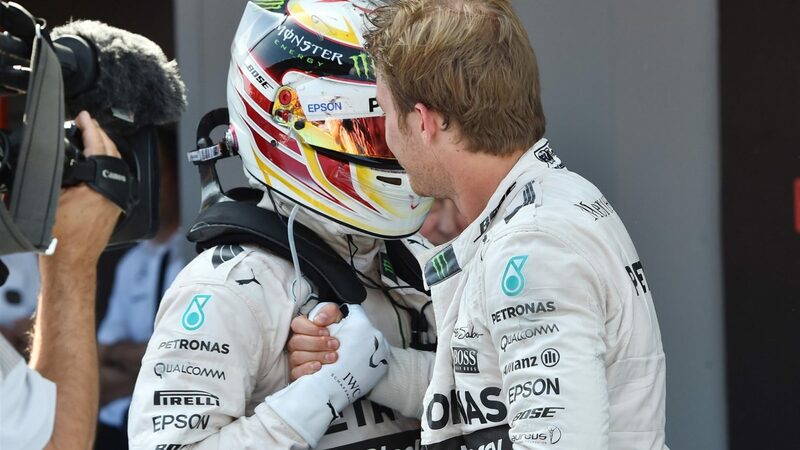 I’m back: Rosberg’s win in Spain is seen as the starting point of a new intra-team battle for the title. On the other hand, the weekend did not go Hamilton’s way: firstly a “messy set-up” cost him speed in qualifying, according to Mercedes’ boss Toto Wolff; and then a slow start dropped him behind Ferrari’s Sebastian Vettel, which meant the Brit was then battling two Germans in front. 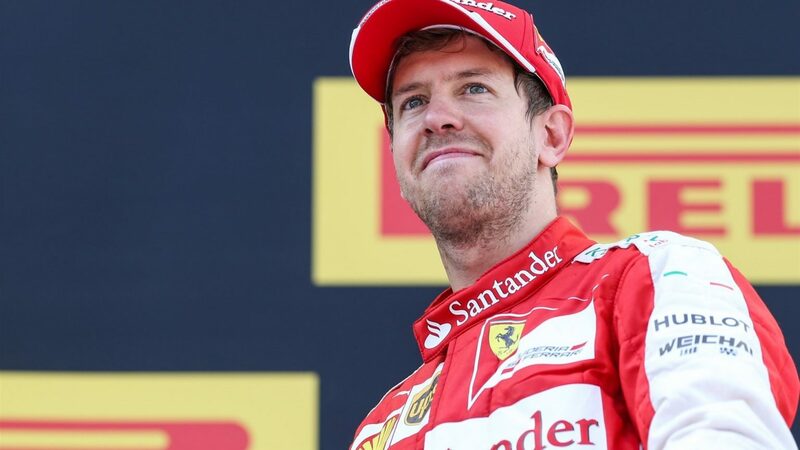 Both Ferraris reaffirmed their winning potential by challenging for the podium with Vettel targeting second place in Barcelona as he successfully fended off Hamilton for the majority of the afternoon. The defending champion had a chance to reclaim his starting position on his first pitstop, but was delayed at the garage by an issue with fitting his left rear tyre; on the contrary, Vettel followed up with a faultless 2.3sec pitstop and reemerged ahead of Hamilton. The Brit’s subsequent attempts to overtake the four-time champion ended up in the team changing his strategy from the preferred two-stop race to a three-stopper. This turned out to be the winning formula for Hamilton, who took back the second grid spot when Vettel made his second stop 25 laps before the end – and made it stick, as the dominant Mercedes power made up for the additional pitstop later on. So far in 2015 Ferrari has been the only other team claiming the podium alongside Mercedes. In fact, it looked like the Brit was prepared to then challenge Rosberg for the win, shedding seconds between them on each of the final laps, despite his team prodding him to call it a day. “Tell me it’s impossible” he challenged his engineers on the team radio. 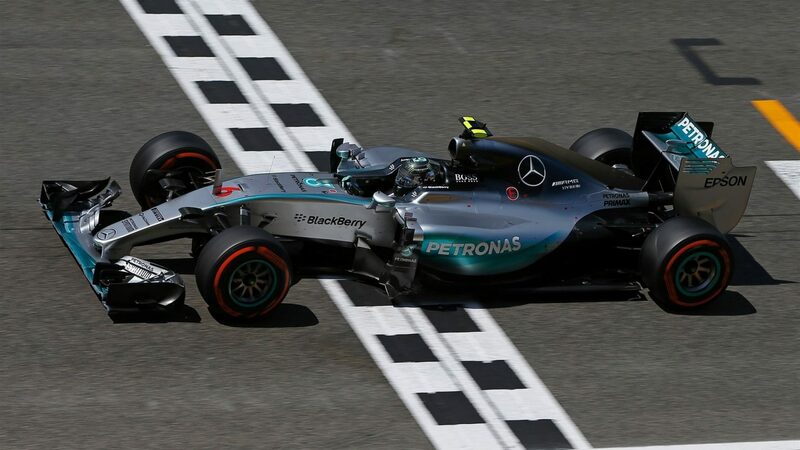 But it was Rosberg’s day in the end, as he finished a comfortable 17.5sec ahead of his team-mate, while Vettel crossed the line another 27.7sec behind. The event an exact reflection of the 2014 Spanish Grand Prix, where Hamilton led from the start and Rosberg switched strategies after a poor start in a pursuit of his team-mate’s position. Eventually, the win went to the Brit with his first Spanish trophy. Back to 2015 as Kimi Raikkonen further strengthened Ferrari’s position in the constructors’ standings, but failed to repeat the feat from Bahrain where he finished second, crossing the line in Barcelona in 5. The consistent-but-not-brilliant results fuel the rumours about the Finn’s possible exit from the team when his contract finishes at the end of the season. Valtteri Bottas has been proposed as a possible replacement – and no wonder, as the Finn continues to impress in his Williams, continuing to outperform his senior team-mate Felipe Massa for the second consecutive year. Indeed, in Barcelona he finished just outside the podium, and two spots ahead of the Brazilian, rounding up another positive afternoon for the squad. The Toro Rosso rookies have so far justified their presence in F1 by delivering exciting on-track action. Another impressive performance came from one of this season’s rookies, Carlos Sainz Jr. The Toro Rosso driver qualified 5. on his home turf, but the team’s car visibly struggled on Sunday, which only allowed the young Spaniard to claim a still admirable 9. finish, after dicing for position with Red Bull’s Daniil Kvyat on the last lap of the race. 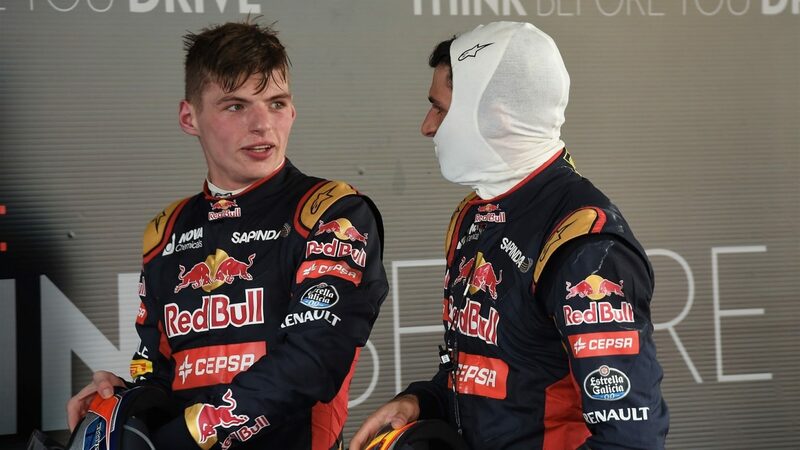 The Spaniard also challenged his team-mate Max Verstappen a few laps earlier and the 17-year-old finished just outside the points behind Kvyat, in 11. Just like its junior outfit, Red Bull’s struggles with the Renault package continued, and 7. was the best Daniel Ricciardo could do to add to the team’s classification points; the Aussie was also the first of the lapped cars at the end of the race, which serves as further testament to the speed dictated by Mercedes. Streak of bad luck: it was another DNF for Maldonado in Spain. There was little other action on the Catalunya circuit, which favours outright speed but not overtaking; the only other eye-catching moment was a contact between the two Lotus drivers, running a Mad Max livery in Spain. 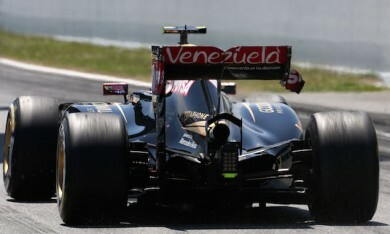 A clash between Romain Grosjean and Pastor Maldonado led to a damage to the latter’s rear wing, leaving it misshaped. Soon after, the Venezuelan had to make a pitstop to get the faulty part removed, and carried on in a limping car until he finally retired, continuing his run of non-finishes this year. He joined the only other retiree of the afternoon, whose departure from the race was a big blow to the crowd; after reporting a problem with breaks on his McLaren, local hero Fernando Alonso made his second and final pitstop on lap 27. The break issue was obvious when the veteran driver overshot his pit box, but the team’s front jackman was quick to react by jumping out of the McLaren’s way. The Lotus jackman got a round of applause – and a bag of ice – for his commitment. A Lotus jackman was not so lucky when Romain Grosjean dived into the pits for a tyre change, virtually knocking the mechanic down to the floor; other than a painful blow to his private areas, he emerged unscathed. The big losers, once more, proved to be McLaren, whose remaining on track driver Jenson Button did not live up to the expectations of the team’s first points of the season. The Brit finished the Spanish GP in a distant 16., only ahead of Will Stevens and Roberto Merhi of Marussia who crossed the line with a three- and four-lap disadvantage respectively. The Formula 1 circus now moves to Monaco – Rosberg’s home town where he will seek to add a third consecutive win in the Principality. His team-mate’s lead in the standings is now within the points reach of a one race win; and although the on-track action continues to be more of a non-event, the 2015 season is finally shaping up as a battle – not just a one-man-show. The battle is on: will we see a repeat of the 2014 title fight?